and your vision in the mess. In the 20 years that I’ve been a therapist, I’ve worked in universities, crisis settings, a psychiatric ward, general practitioners, and now private practice. I’ve helped clients overcome many psychological issues, in different forms and levels of severity. I researched online therapy because I love the accessibility and freedom that it allows. My research adds to the impressive amount of evidence that supports its effectiveness. Monkey therapy targets the psychological roadblocks that get in the way of our happiness, kill our creativity, and cause us to feel stuck, unable to move forward or change. It’s a combination of therapies that work together to help clients get the most from their monkey minds. 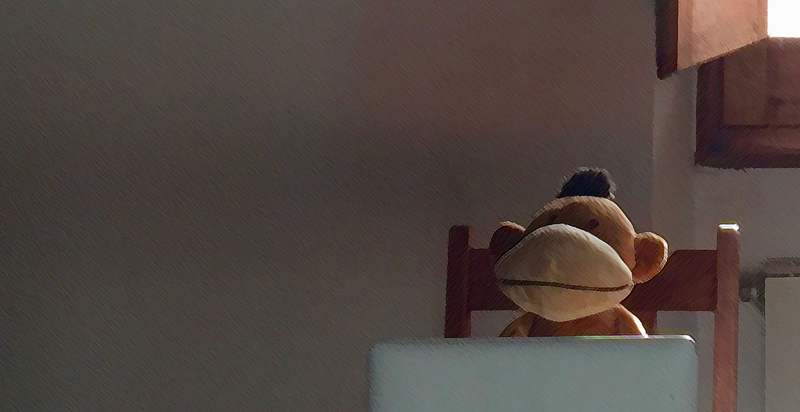 Monkey therapy is pragmatic, compassionate, science-driven, and flexible. Together we adapt the process so that it works best for you. Accessible from wherever you feel comfortable and safe. Just turn on your computer and begin your session. This website is also a free and useful mental health guide with science-based explanations and practical steps to feel better now. For more about my training, research, and credentials, visit LinkedIn.